With the convergence of media across multiple platforms within both the computer and home theater industries, it's becoming more and more popular to integrate PC's into the living room entertainment system. Many newer HDTV's come with a VGA PC input port on the back. 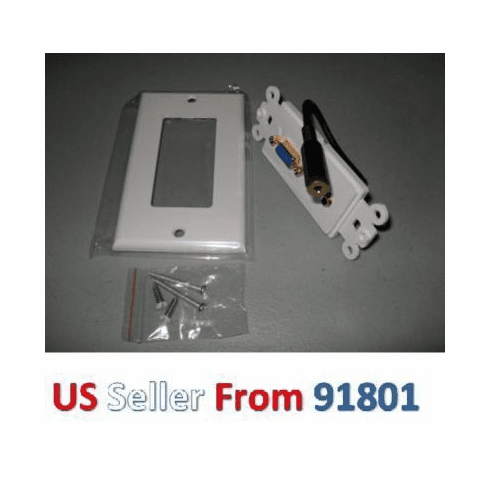 Whether you're connecting a dedicated HTPC or occasionally want to connect and view your laptop on a big screen, our VGA wall plates make the connections clean and easy. No need to reach into the back of your display everytime you want to connect your computer or leave unused cables lying around.